I have no idea what the Melbourne Football Club are going to do this year. What I do know is that we aren’t winning a Premiership. I also know we need to score more points and we have the weapons to do it. I fell for it with Jack Watts, Tom Scully and Jack Trengove. They were all going to be the one who turned the fortunes of the Melbourne Football Club around. As much as I love you Jesse Hogan, I’m not going to put you in the same category. Not because I believe you don’t deserve to be there, purely because the pressure of Melbourne is a miserable thing to lump on anyone. We have a great core of young players with one thing in common. I want to see more from them in 2015. Jack Viney, Jay Kennedy-Harris, Christian Salem and Dom Tyson all need to be playing at their best every week if we are going to see progression. We should have won more than four games last year and we should win more than four games this year, but who knows? Preseason is a great indicator, even though the wins and losses don’t matter as much. We could have beaten Freo, where we put up a good fight all day. We should have finished the Bulldogs off a lot sooner than we did. Essendon was summed up by the losing turnover – some days it just isn’t going to happen. At the end of last year I thought we could win seven or eight games. Within half an hour of Christian Petracca being ruled out for the season I adjusted that to being happy with winning five games. Being happy with being awful is enough to make me miserable before a Matt Jones kick in anger. I just want something to smile about on a regular basis. We haven’t made the finals since Channel Nine had rights (2006), and with the exception of the first half of 2010 and roughly half of our games in a horribly inconsistent 2011, we have not looked like breaking the drought. We also have a great group of older guys, but they aren’t getting consistent help. 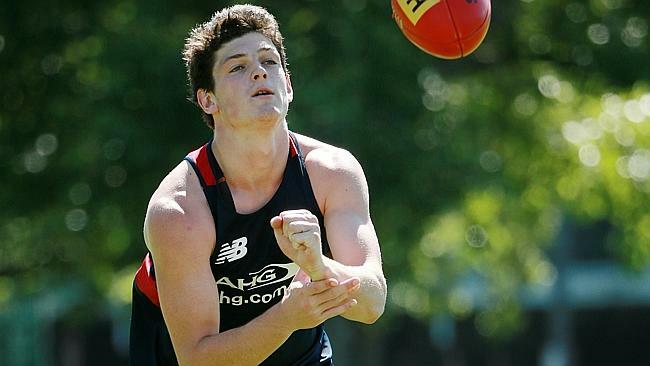 Dawes, Nathan Jones and Lumumba need to have career best years. I’m also looking forward to seeing what Stretch and Brayshaw can do. Over to you Melbourne. Even if you can’t make me smile every week the Robbie Flower Wing is another stunning example of why I will never stop loving you. This entry was posted in Published on xavierplayer.com, Written and tagged AFL, Melbourne Demons. Bookmark the permalink.